Progress at the new Braywick Leisure Centre in Maidenhead has been marked this week with the official opening of a 240-space car park. The Royal Borough of Windsor & Maidenhead and Wates Construction celebrated the completion of phase one of the £32.8m project with a tree planting ceremony attended by sports coaches and employees from Magnet Leisure Centre. After planting the last row of flowering cherry trees that will adorn the car park, attendees observed the casting of the concrete floor of the centre’s new 25m pool following a tour around the site. “This is an important milestone and will mean residents across the Royal Borough will start to benefit early from a brand new car park close to the town centre. Braywick Leisure Centre will replace the 40 year old Magnet Centre with the new facility featuring a 10-lane swimming pool, larger training and splash pools, a 200-station gym, four squash courts, a larger sports hall and improved accessibility for disabled users. 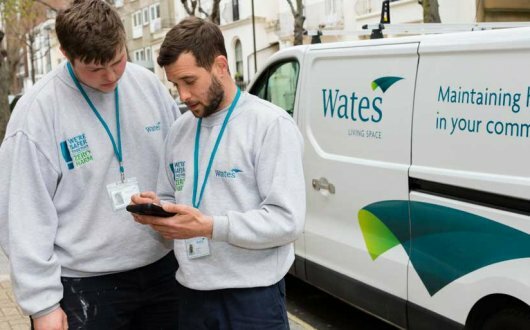 Wates Construction commenced construction of the project in October 2018 following its appointment via Major Works – UK, part of the Scape National Construction framework. The framework has been designed to deliver significant levels of local economic engagement as well as extensive community initiatives. The car park is open from Saturday 16th March and charges will be the same as the current car parking on the site with parking free for up to three hours (fees payable after then).